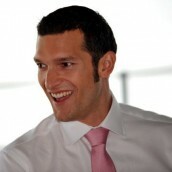 Karim Harbott is an experienced Enterprise Agile Coach, Trainer and international speaker. He has guided many large organisations through 'Agile transformations' and helped them on their journey to continuous improvement in their product development capability. A trained Team and Executive Coach, Karim is well placed to build internal capabilities in an organisation; be it developing Agile Coaches, ScrumMasters, Product Owners, Developers or working at the C-level to help leaders create the environment to enable true, large-scale business agility. Karim is a Certified Enterprise Coach, Certified LeSS Trainer, SAFe Program Consultant and Accredited Kanban Trainer. After the course you will be a “Certified LeSS Practitioner” and will get an account on less.works. Here you can find additional information about LeSS, share course information and stay in contact with the other course participants. In addition, you’ll get access to the draft of the new upcoming book “Large-Scale Scrum: More with LeSS”. This course is for anyone who is involved in a LeSS effort. Basic Scrum knowledge is expected and can be achieved by attending a Certified ScrumMaster course, or thoroughly reading Scrum introduction material, such as the “Scrum Primer” and “Practicing Scrum”. Welcome coffee, lunch, and two other coffee breaks included in the price. Price includes infrastructure and catering services that are stated on the related invoice as individual items. Scrum Alliance members can claim 24 Scrum Education Units (SEUs) for taking part in this course. SEUs count towards Certified Scrum Professional® (CSP).